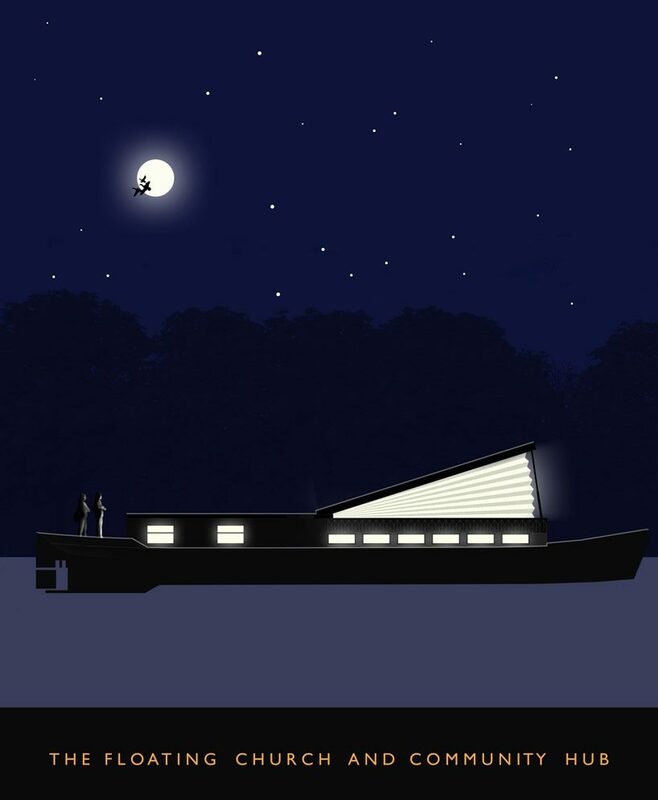 london-based denizen works in collaboration with boat-builders ‘turks’ have won the diocese of london commission to create a design for a new floating church and community hub to navigate the winding canals of london. the bespoke floating hub has been designed to wind along the canal system, mooring at key regeneration sites, with a focus on developing links with the growing communities in the london mayor’s key opportunity areas. as a church, denizen works‘ hub will look to grow congregations in these new communities with a view to finding a permanent home in these areas when critical mass is reached. 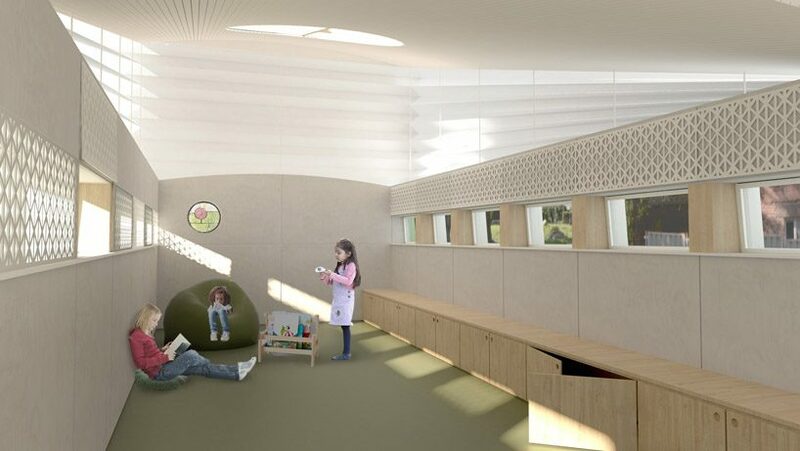 in addition to its function as a church, the boat is designed with a highly flexible and adaptable interior to accommodate a wide range of community activities including; parent and toddler groups, meeting spaces, supper clubs, exhibitions, live music, yoga classes, book groups and art classes. 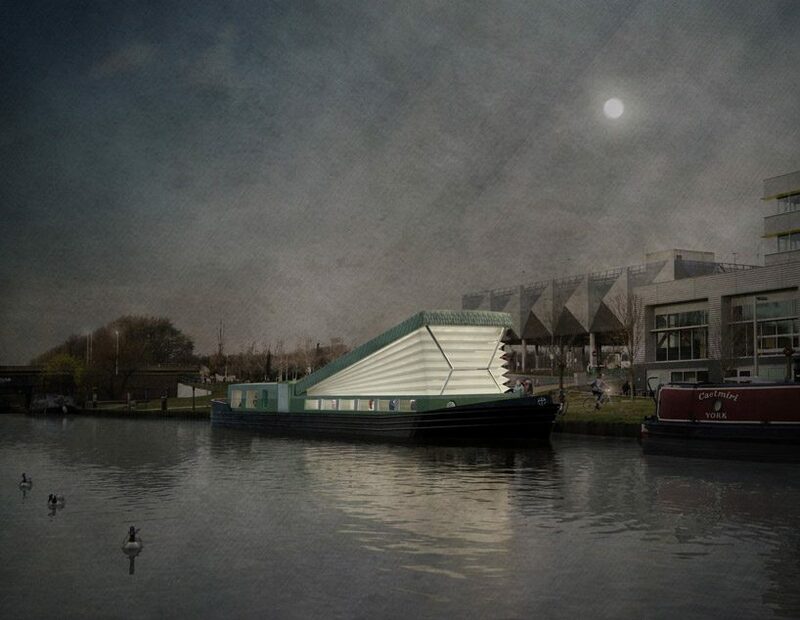 taking cues from church organ bellows and the pop-up sleeping pods found in vintage VW camper vans, the concept was developed to provide a dramatic and transformative space within the confines of a barge designed to traverse the london canal network. during its nomadic existence, the boat will alternate between two distinct characters. when navigating the waterways, the boat will be compact and low-lying, so as to pass beneath bridges. 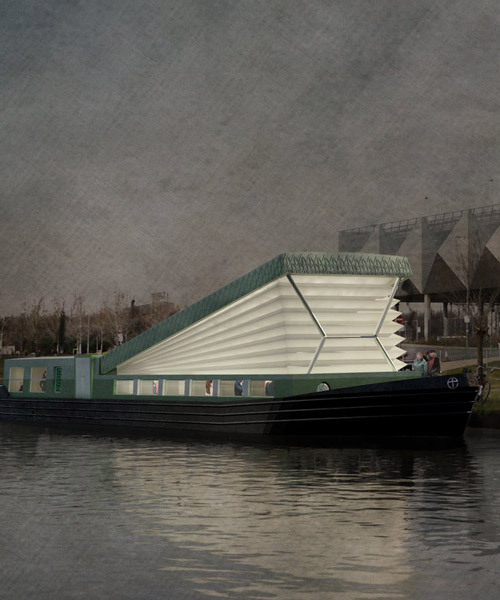 when moored, the boat will bloom into an illuminated beacon with its sculptural pop-out roof canopies. the largest canopy will provide a dramatic internal space for worship through to arts and cultural events. 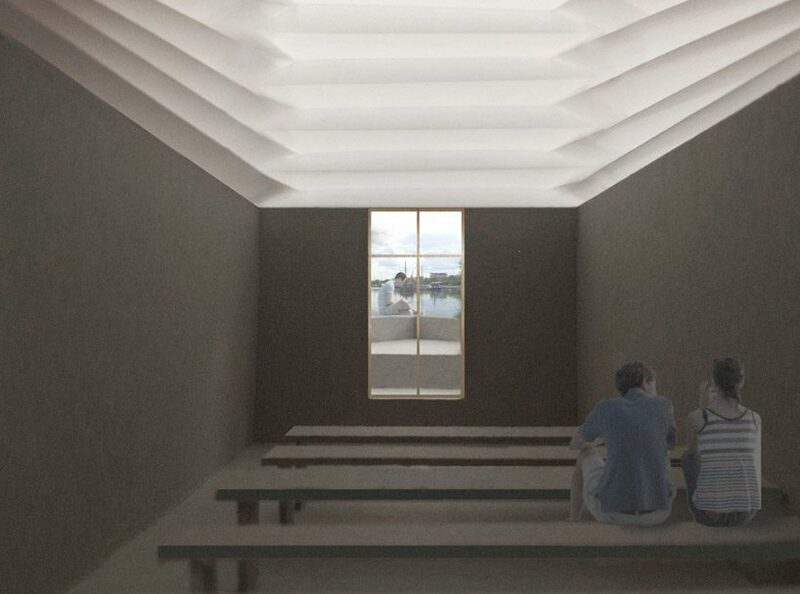 the largest canopy will provide a dramatic internal space for worship through to arts and cultural events.